← Get ready – Summer Camp: 2015 is almost here! The Goodbyes are said and the boys are on their way! 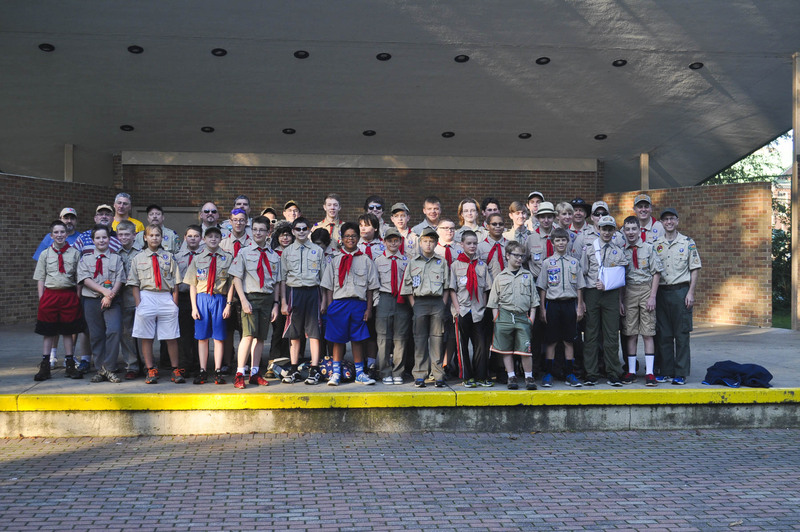 The scouts from Troop 35 gathered this morning at Memorial Park before loading the troop trailer with scout’s gear and driving north. Thirty-five scouts are beginning the adventure of a lifetime, some are renewing an old friendship with Camp Tesomas, and a few are going for the first time. Regardless, each visit leaves a lasting impression – young or old, big or small – and when they return, those who went are changed forever. For those that are familiar with this morning, you know that feeling. The feeling of ‘I can’t wait to get there’ or ‘Only 7 more hours till we will be there!’ Every time the scouts come back they can’t wait till next year, I know this all too well. I was afraid that I wouldn’t be able to make it up to camp this year (This would be my 10th summer up at camp) but a few last minute changes and favors called in and I should be on the road at 7pm tonight after work. (So parents: if your scout forgot something or you haven’t mailed that care package yet I am going up today and someone else is going up Wednesday) This is the camp which lives up to its slogan of “Where Camping is King” and we want to bring the experience of camp back to those back at home. Remember – like last year – We will blog daily and will also have tweets and Facebook updates! I will be back once again with Doug to bring you the updates (I will be up till Wednesday only :/ but the updates will still be all week). So remember to sign up for email updates and then you’ll be able to have a taste of Tesomas as well! Also- Feel free to look on the website from last years posts or the end of the week video from last year. I am hoping to have anther one this year that will play at a later meeting. 3 Responses to The Goodbyes are said and the boys are on their way! Thanks, Dan – I’ll miss going, there is nothing like the drive up and excitement in the car. There is so much energy. Have a great day! Great first post Dan. See you later in the week! Will try to get it to Matt for the Wednesday trip.